The unit of Odiyan will travel to Varanasi for the first schedule of the film and will begin canning important scenes soon. Mohanlal’s upcoming film Odiyan is much anticipated for film in Malayalam film circles. The makers recently released the first look posters of Mohanlal from Odiyan which has created a huge buzz around the film. Directed by V Shrikumar, Odiyan will have Mohanlal playing a new role and has gone through a make-over for his role in the film. The unit of Odiyan will travel to Varanasi for the first schedule of the film and will begin canning scenes from August 24th, 2017. Mohanlal is also said to be part of this schedule who will shoot for important scenes in the film. 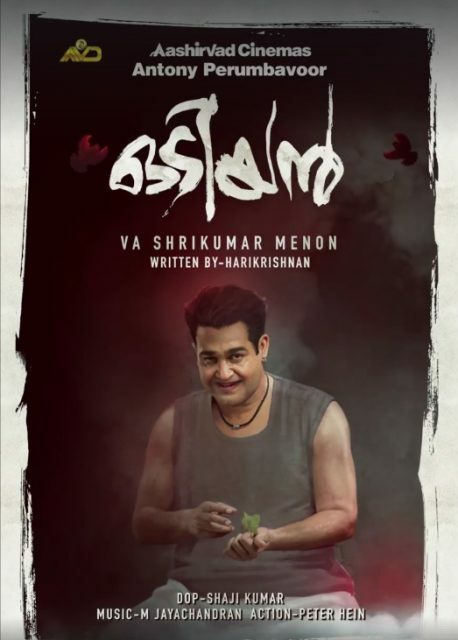 Directed by VA Shrikumar Menon, Odiyan has Mohanlal in a lean and muscular look which has created quite a buzz around the film. Odiyan is being produced by Antony Perumbavoor under the banner Aashirvad Cinemaas while the story is written by Harikrishnan. The action sequences in the film are designed by Peter Hein and are said to be exquisitely stylish. According to reports, Odiyan is being made on a huge budget and is said to be a fantasy thriller. In such a lean and never-seen-before look, Mohanlal is set to enthrall his fans with Odiyan. Mohanlal’s makeover in Odiyan has sent his fans into a frenzy and the response to his new lean look is quite overwhelming. Odiyan was a tribal community in the Palakkad-Malabar region and is known for scaring people in order to make their living. Mohanlal plays the role of a tribal member called Manikkan who was the last surviving member of the tribal community Odiyan in Kerala.